A Young's Extension Construction Services Ltd aim to provide value for money along with a high level of customer satisfaction via attention to detail, a highly motivated and experienced team and professional hands on project management from initial quotation to completion. They are pleased to provide customers with no obligation quotations and advice. View past projects to see the quality and call past customers to confirm the high standards aiming for are achieved. 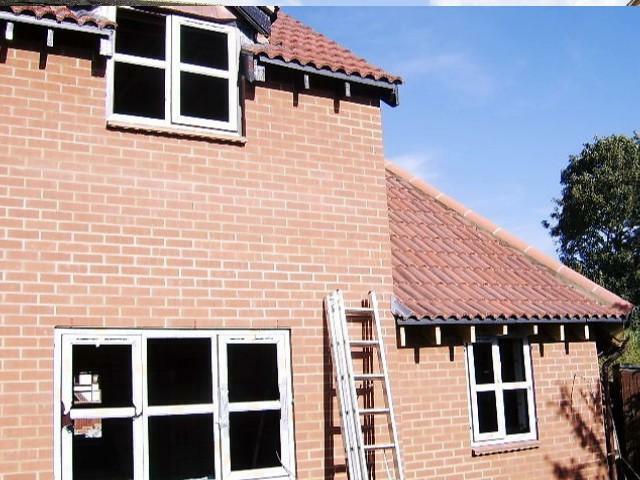 They are experienced in all aspects of general building, however main areas of specialisation are renovations (full house or kitchen and bathrooms), extensions, sunrooms, garage + loft conversions, structural alterations, groundworks, hard landscaping, wall and floor tiling and high quality carpentry and brickwork. A Young's Extension Construction Services Ltd has an experienced and qualified professional team, aiming to deliver the best possible quality of service and finish to your project. Trying to make the entire experience as stress free and enjoyable as possible. Young's Builders has a highly skilled / experienced team across all the main building trades (averaging over 20 years experience! ), with a 100% commitment to achieving the highest possible levels of customer service. Our rates are very competitive for the high quality of work we carry out and offer value for money second to none! We provide free site visits and no obligation quotes.